Home > Uncategorized > 25 Years of Bible Camp! 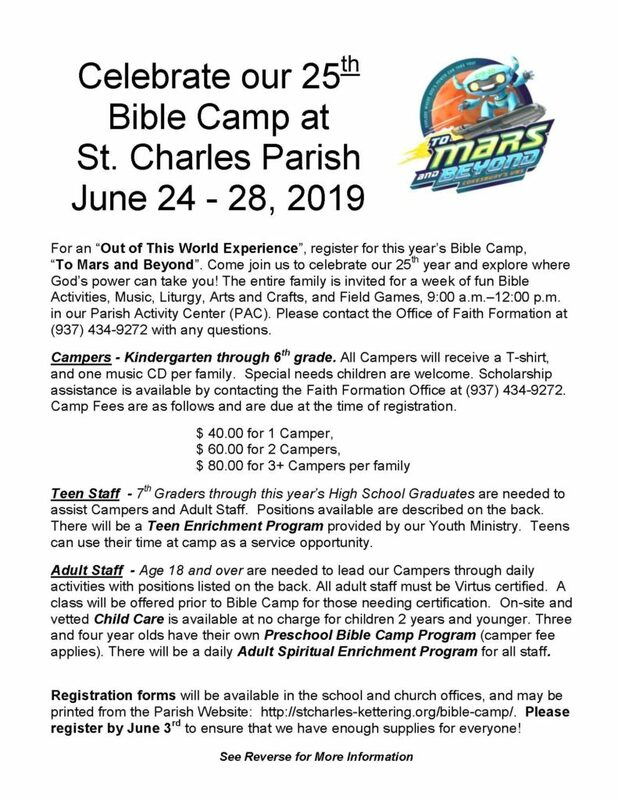 For an out of this world experience, register for this year’s Bible Camp, “To Mars and Beyond!” Join us as we celebrate our 25th year of growing closer to God and explore where His power can take you! The entire family is invited for a week of fun, 9 a.m. to noon, June 24-28. Please contact the Office of Faith Formation at 937-434-9272 with any questions, and Click Here for Registration Forms and More!